The trip down to Canterbury was long and uneventful. I find the M40 motorway quite long and boring, and the M25 isn’t known for being great either! 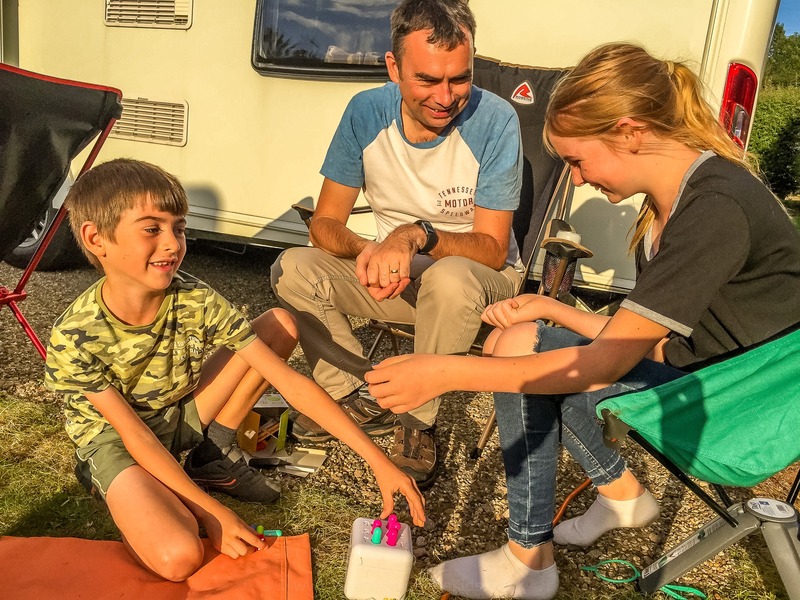 We were staying at the Canterbury Camping and Caravanning Club campsite rather than Folkstone, which is nearer the Eurotunnel, as the Folkstone Club site isn’t recommended for caravans. 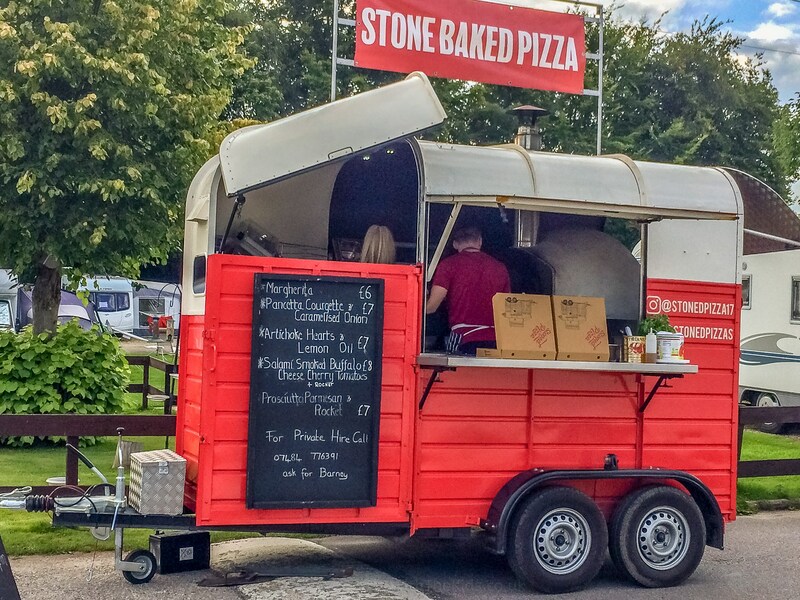 We turned up to the Canterbury Club site to see that there was a mobile pizza van making fresh pizzas in a pizza van. Perhaps this was a good omen for our trip to Italy? a good omen for our trip to Italy? Fresh pizzas at the campsite. A sign of things to come? The site isn’t huge and has all the facilities you need, especially for an overnight stay. 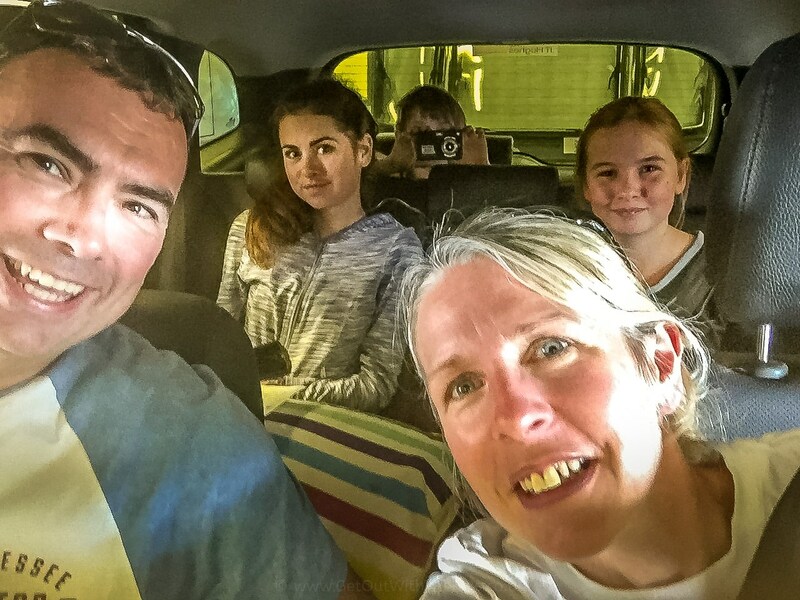 The next morning we set off to the Channel Tunnel with a little bit of concern with what lay ahead: how would we find the driving in Europe and would we manage to get the caravan onto the Tunnel train without getting it stuck? We arrived a little early to the Eurotunnel terminal and was offered an earlier crossing. This was great news, considering how far away our first campsite was. As it turned out, the Eurotunnel Crossing was quite easy. The parts of the train used for caravans and motorhomes is large enough to easily get onto the train without incident. You also don’t have to reverse it out, you just drive out when you arrive in France. Both UK and France border checks are done before you board the Tunnel train, which means there are no delays when you reach the other end of the tunnel. If you are carrying LPG gas, you’ll need to confirm or have it inspected that it is turned off. Note: if you are towing with a vehicle converted to use LPG you won’t be allowed onto the train, even if the LPG is not in use. Having driven on the right before, I wasn’t that concerned. However, I was concerned about the visibility in being in a right-hand drive car while towing the caravan. Fortunately, this wasn’t a problem, and heading off on the French roads was easy. We headed straight down the Autoroute to Belgium. 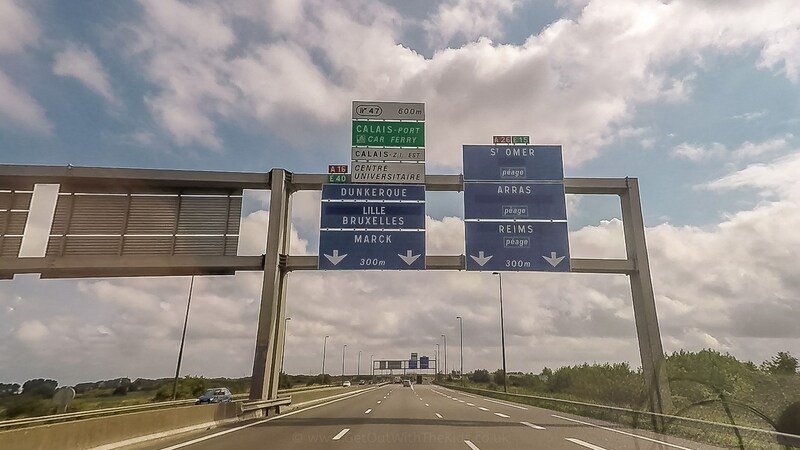 This stretch of road has no tolls, and there wasn’t a great difference as we drove from France and into Belgium. As we got nearer Brussels, traffic got heavier, but after the capital, the traffic started moving freely again. The first test with the caravan was filling up. Fortunately, the motorway services in Belgium were good, and the Shell garage had a wide filling station that meant we could easily get fuel with the caravan. Toilets are charged at between 50-70¢ though. While cars zip by at over 100mph, you are stuck at 50mph – or 80kph. 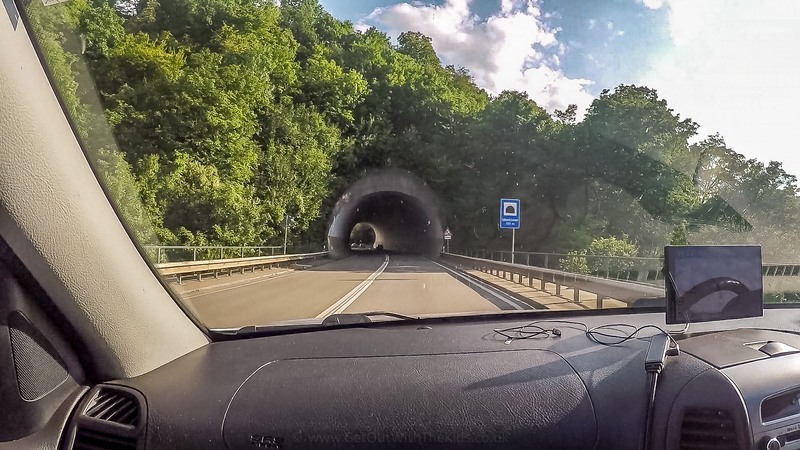 So the German Autobahn is famous for the high speeds drivers are allowed to drive. This is not the case if you have a caravan. If your car and caravan get a test in Germany, then you can apply to the German authorities to drive at 100kph (or 63mph). This wasn’t something we would have time to do, and so we had to plod along at 50mph. Even the lorries were overtaking us. However, we noticed many Dutch caravanners not having the 100 sticker and still driving fast. Furthermore, outside the main autobahns near the cities, the autobahns only have two lanes, and on these roads, caravans are not allowed to overtake. So, as you get further south in Germany and the roads climb hills, you can get stuck behind a big tanker doing less than 30mph and there’s nothing you can do about it. This is where driving a motorhome would be quicker than towing a caravan. When planning with Via Michelin, even with the Caravan option specified, the journey times we planned were not as long as reality. Just before leaving we got a Garmin Camper GPS that is designed for Motorhomes and Caravans. This had a different view of the journey times, which proved to be much more accurate. A six-hour journey turned into an eight-hour slog. I believe that this may be due to the Via Michelin planner expecting us to have the 100kph limit, whereas the Garmin correctly stated the official speed limit was 80kph. by the time you reach Germany, some rolling hills appear. Belgium is rather flat, but by the time you reach Germany, some rolling hills appear. 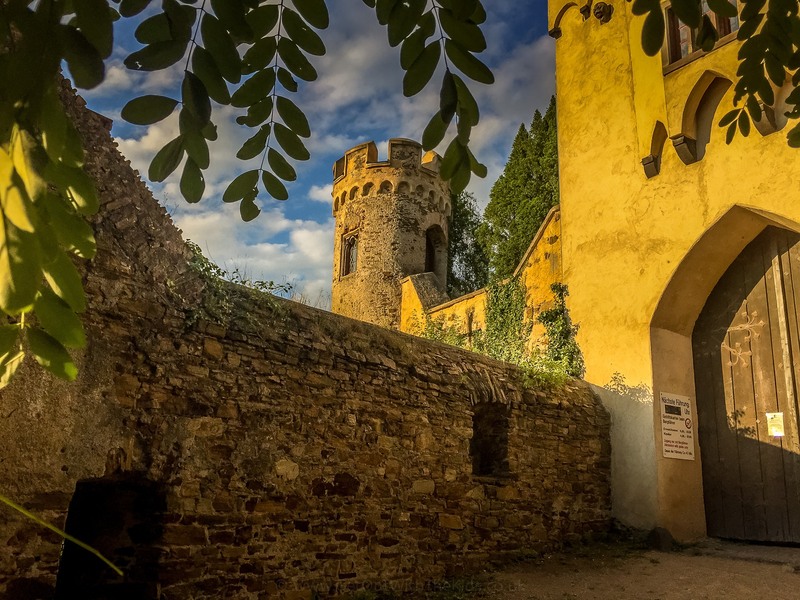 Burg Lahneck is in the Rhine Valley and by the time you get to the area you are surrounded by steep tree-covered hills interspersed with castles. The Burg Lahneck campsite is up a steep winding road and just off a housing estate at the top of the hill. It didn’t appear that caravan friendly at first, but the corners are wide enough that towing isn’t a problem when getting to the site. The location of the campsite is just behind a local swimming pool. This doesn’t sound that impressive, and it doesn’t look it when you first arrive. 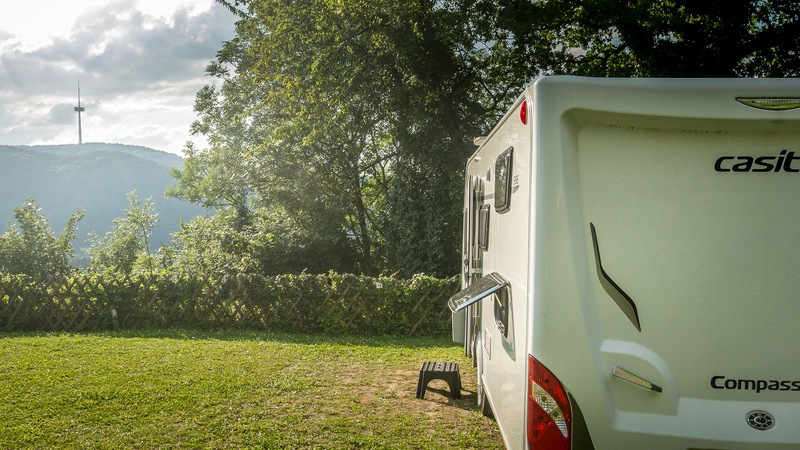 However, as soon as you go through the campsite barrier you immediately realise what a fantastic spot Burg Lahneck is for a campsite. 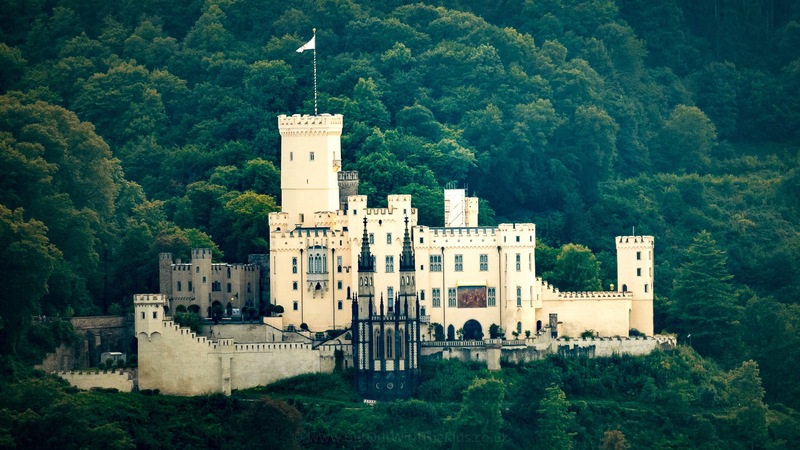 It’s perched on a hill overlooking the Rhine valley, looking down on the town below, the river Rhine, and castles on the hills across the other side of the valley. In fact, there’s an old castle just below the campsite. On our first visit, our caravan was positioned on the edge of the hill, with our big front windows overlooking this amazing view. Now one thing we don’t have fitted on Casper is a mover. 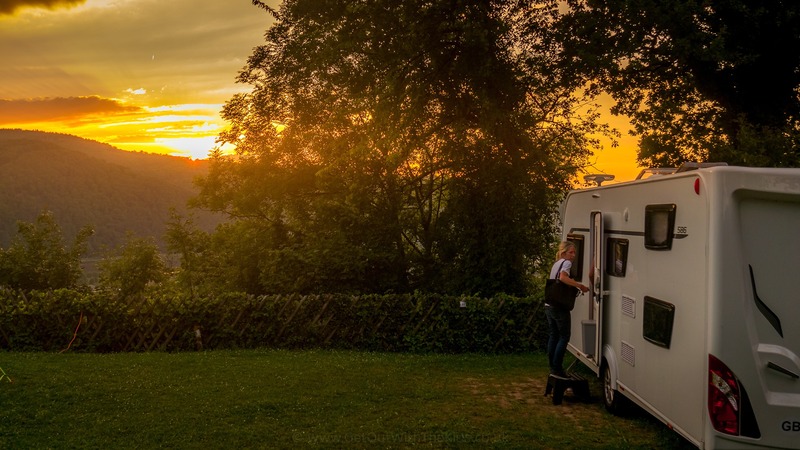 It would be something I would recommend you have if you are planning to take a caravan to Europe, as the campsites place the caravans in a slightly different position to what we are used to in the UK. In the case of Burg Lahneck, we had to control the caravan break carefully to make sure it didn’t roll off the 200m drop as the van was pushed into place with the hitch facing the edge. Fortunately, the hill wasn’t steep, and with a bit of help, we were able to move the caravan around easily for towing when it came time to leave. Thank goodness for the caravan being lightweight! Burg Lahneck Castle is just a short stroll from the campsite. Unfortunately, Burg Lahneck castle wasn’t open when we visited. However, if you don’t mind steps, you can stroll past the castle and down to the town below and to the edge of the Rhine. The first day of European towing was a mammoth of a trip. But as we overlooked the Rhine Valley, with a much-needed glass of wine, we certainly had a sense of achievement. 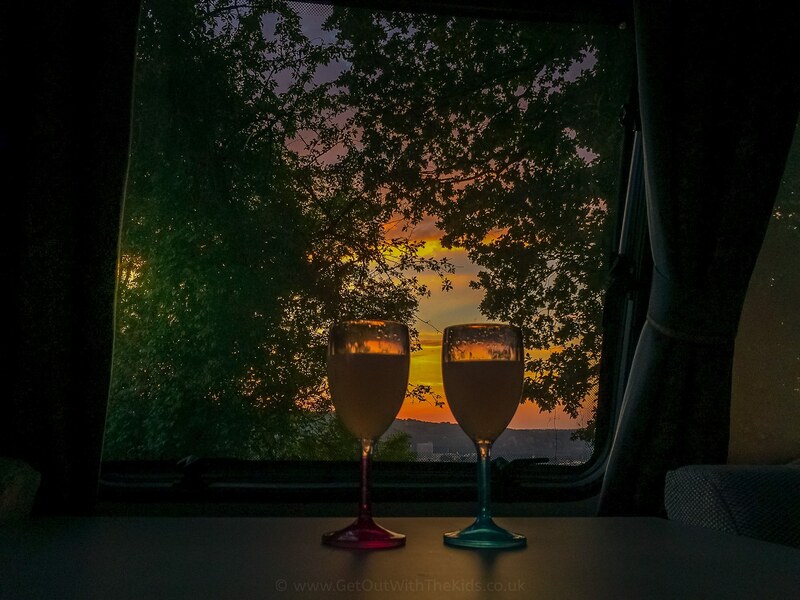 Enjoying the views over the valley from the caravan at the end of a long day.